Four Leaf Clover Necklace In 10 Different Colors Just $2.29 PLUS FREE Shipping! You are here: Home / Great Deals / Amazon Deals / Four Leaf Clover Necklace In 10 Different Colors Just $2.29 PLUS FREE Shipping! 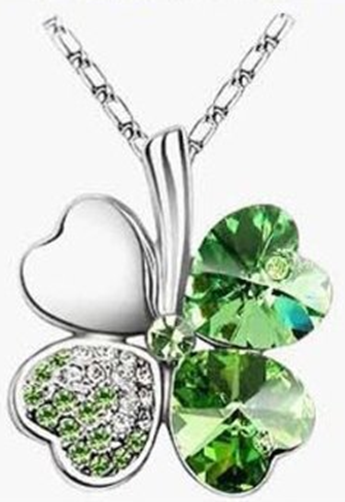 You can get this Crystal Rhinestone Four Leaf Clover Pendant Necklace for just $2.29 PLUS FREE shipping! That’s a great selection of colors, too! Thanks, Coupons And Freebies Mom!